Join Associate Conductors Linda Song and Louise Lui in our expanded North York Training Choir program for 2018/2019! We are expanding our North York Training Choir program* for the 2018/2019 season so that we can better serve young singers in the North York area. Children aged 6-10 can audition for a placement in either Preparatory Choir, Training Choir I or Training Choir II with rehearsals taking place at Claude Watson School for the Arts. Read more about our ensembles and rehearsal schedule here. Children aged 3 to 6 can join KinderNotes, our introductory music program. No audition is required for this 45-minute music class. One class for ages 3-4 and one class for ages 5-6 will be held on Thursday evenings at Claude Watson School for the Arts. Online registration opens June 11, 2018. Read more about Kindernotes here. *All programs at our North York location must meet minimum registration requirements in order for the program to run. Successfully auditioned choristers will have the alternative option to enroll at the equivalent program at our St. Clair location. We invite you and your child (ages 6-10) to join us for an open rehearsal on Tuesday, April 24. Please RSVP by emailing Choir Coordinator, Eunillyne Lazado, with your child’s name and age as well as attending parent’s name. Please note, this is not a drop-in session; an RSVP is required. *This is not a drop-in rehearsal, please prepare to arrive with your child for 4:45pm. How to RSVP: Email Eunillyne Lazado with your child’s name and age plus attending parent’s name by April 23. 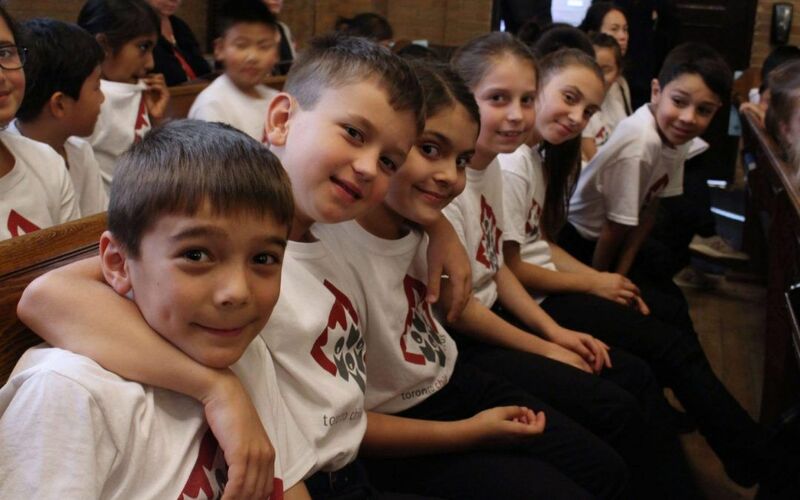 Register your child today (ages 6 to 10) to audition for our North York Training Choir program. (Attending the Open Rehearsal is not required to register for an audition.) Children will be placed according to age and skill level.